Who Can Enjoy this Promo : Guest of Dr. 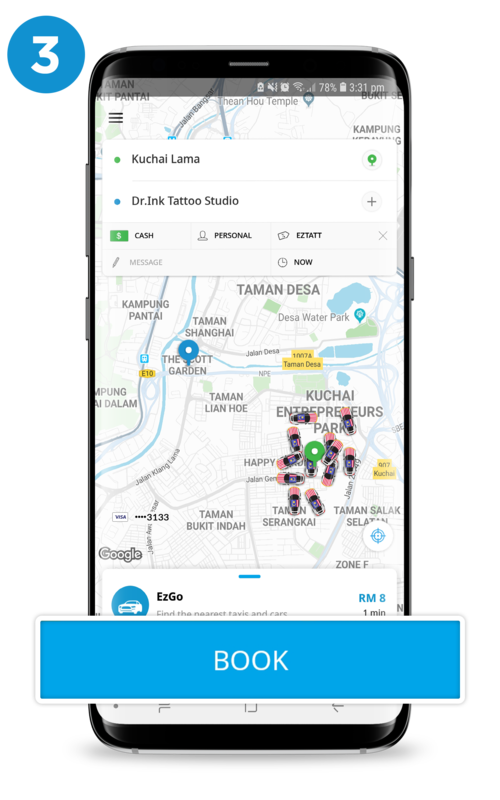 Ink and Iron Bunny Tattoo only via EzCab mobile app. Valid from : 20 August - 15 September 2018. Valid for : Any types of EzCab ride. Limited to : First 300 redemptions only. Valid Service Area : To/from Dr. Ink & Iron Bunny Tattoo, KL. 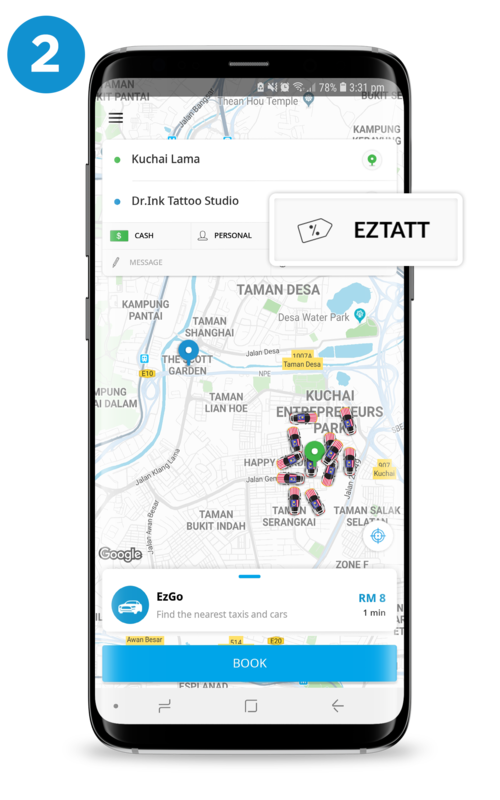 Key-in the promo code EZTATT at the PROMO CODE column. This promotion is valid with cash payment only. This promo code is limited to 2 times redemption per user, limited only to first 300 redemptions only for this campaign period. RM3 will be deducted from the fare shown at the end of the ride. If the fare is less than RM3, there will be no reimbursement of the fare difference. If the fare is more than RM3, the additional fare amount will be charged accordingly. The promotion discount is only successfully redeemed once passenger has clicked Drop-off. Promo Code is not applicable for Advance booking. This promo code only valid for ride to/from Dr. 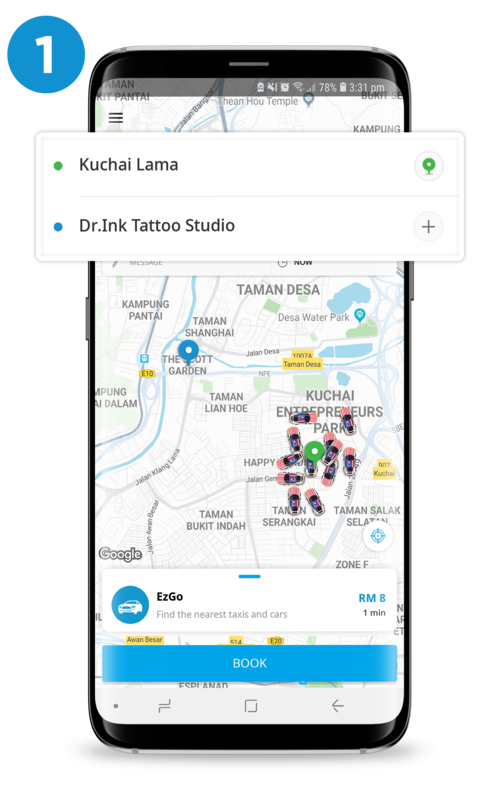 Ink & Iron Bunny Tattoo, KL. The Campaign will run from 20 August to 15 September 2018. The Organiser reserves the sole and absolute right to alter or end the Campaign at any time prior to the expiry of the Campaign Period without giving any prior notice and no compensation in cash or in kind shall be given.